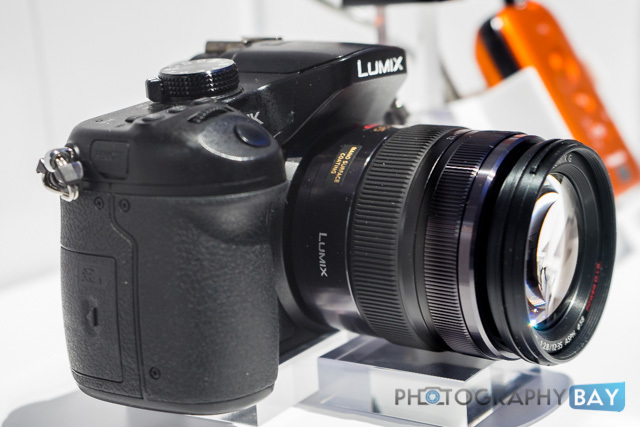 Panasonic has the oft-rumored 4K mirrorless camera on display at CES 2014. 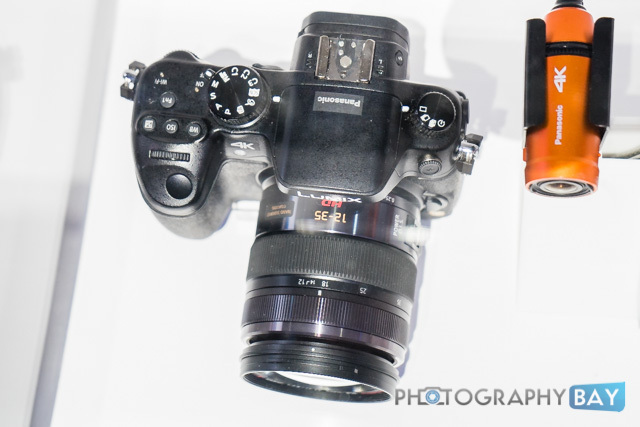 No details are known about the camera, which should be a notch or two above the current Panasonic GH3; however, it is expected to launch at NAB 2014 in April. 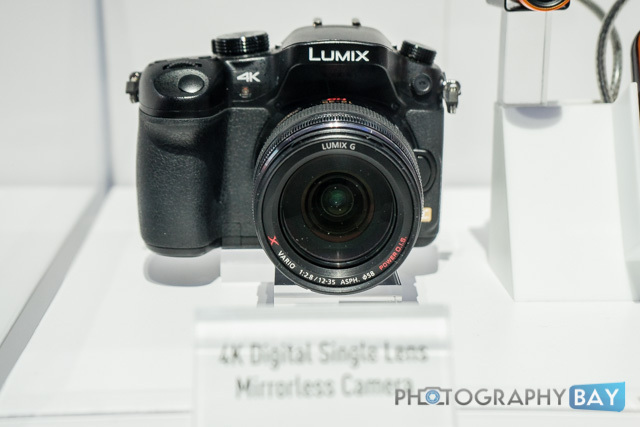 Just based on what we see from the images, it looks like the Panasonic 4K Lumix camera will use SDXC cards as its media capture method, which suggests highly compressed 4K video. 21mm OLED viewfinder, 3,000+ dot. Check out more images below. 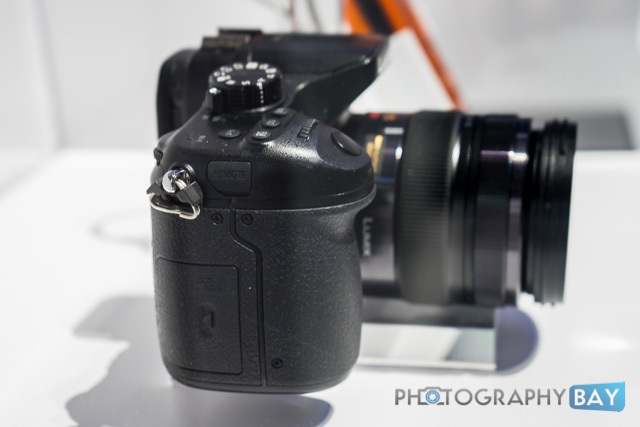 Looks like the same body as the GH3. Looking forward to more news! Woow, not bad. 4K @ 30Hz. I hope it supports 120Hz for 1080p! STILL!! 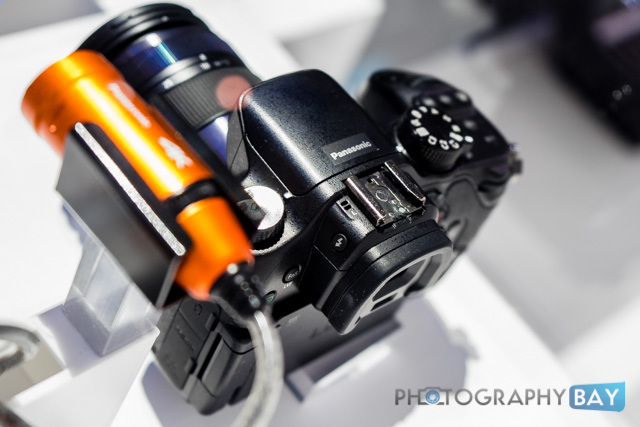 16Meg, when are Panasonic AND Olympus going to move to higher Megabite Sensors?? 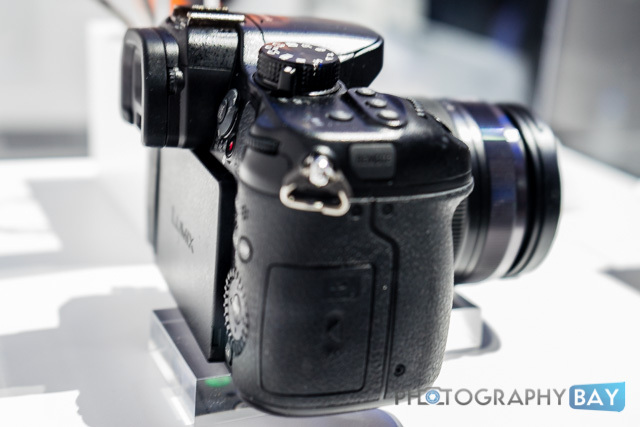 loads of people are being put off buying in to Micro Four Thirds because of the lowly 16Meg Sensor, when are they going to move with the times and manufacture say a 20-24 meg Sensor??? So 4k has nothing to do with a larger sensor MP wise. 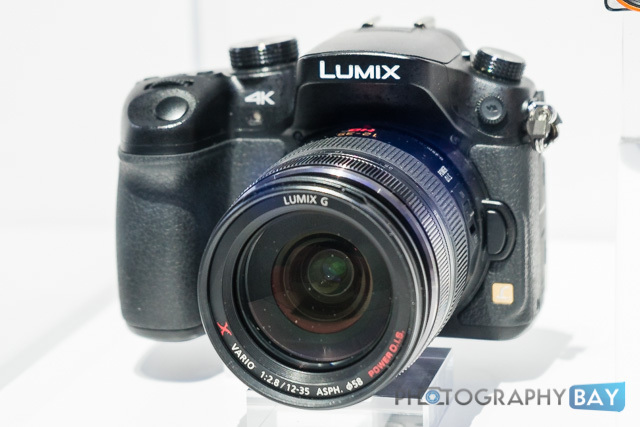 What would make sense is to make a sensor that has 35MP and a center scan area of 8MP for 4k. But be careful what you wish you, 4k takes up a lot of storage and takes a bit of computing power to edit. But 4k alone doesn’t say very much. Is it 10bit? 16bit? What is the DR? Compression / RAW? Showing a camera body with no info and saying it’s 4k is ridiculous… it means they didn’t get it done in time and are scrabbling to get it together as fast as possible. This could lead to great innovation or to short cuts – it depends on the corporate culture at their company.